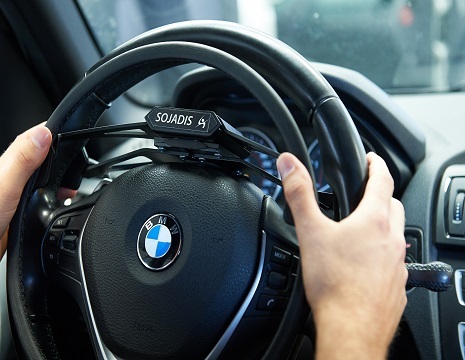 The Sojadis Quick Release Over Ring works by pushing the device towards the steering wheel, allowing for gradual acceleration. 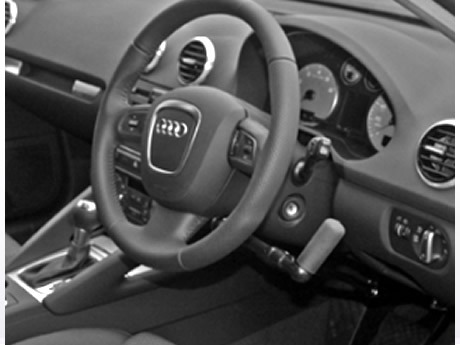 The innovative design, the four available colours of the leather coating coupled to the matt black colour, and it’s two possible colours (Silver or Black) of the finishing plates, allow it’s integration with the more modern and technological vehicles’ interior. 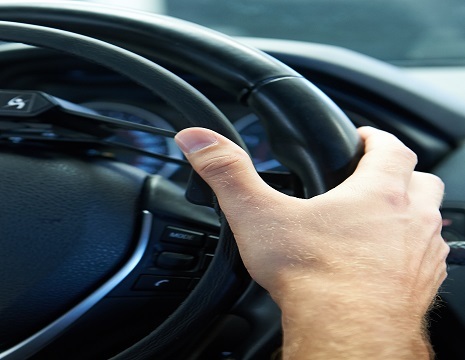 The Over Ring has been developed with the same care for the design as for the electronic control system, so retaining the original vehicle safety features (air bag, steering wheel settings, additional steering wheel controls). 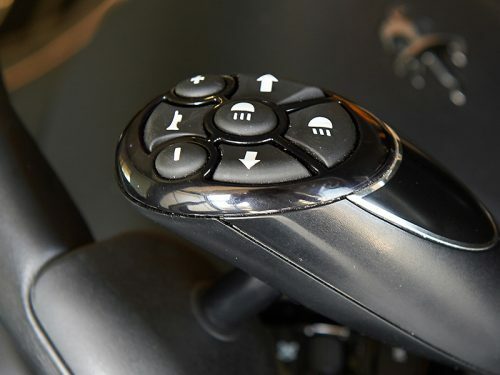 The installation of the device is possible on different vehicles, thanks to it’s universal setting possibilities. 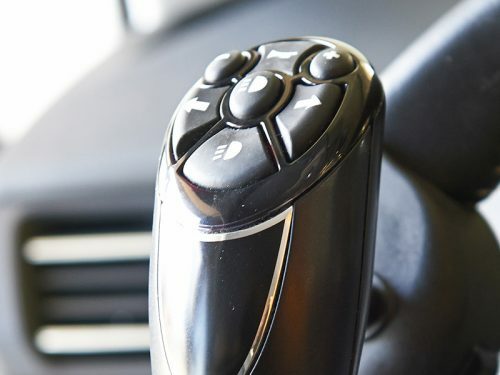 The electronic control unit is activated by a push button and has an interface for the different vehicles’ electrical components, keeping the original accelerator and Cruise Control working. The parking assist switch and the automatic activation of the original kick down by pressing or pulling the ring completely, make the system unique. 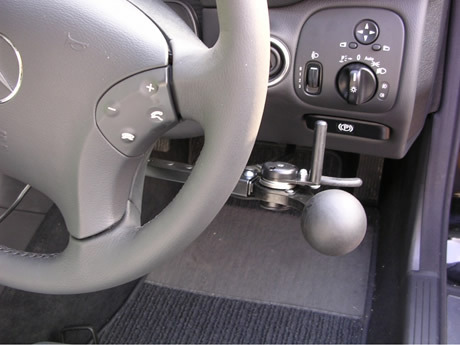 This product works in exactly the same way as the HandyTech Over Ring, however the quick release element of this device allows easy removal of the adaptation, meaning that the car can be driven easily without the device.